August 15, 2018, 9:40 a.m.
It’s the last few weeks of the summer holidays. 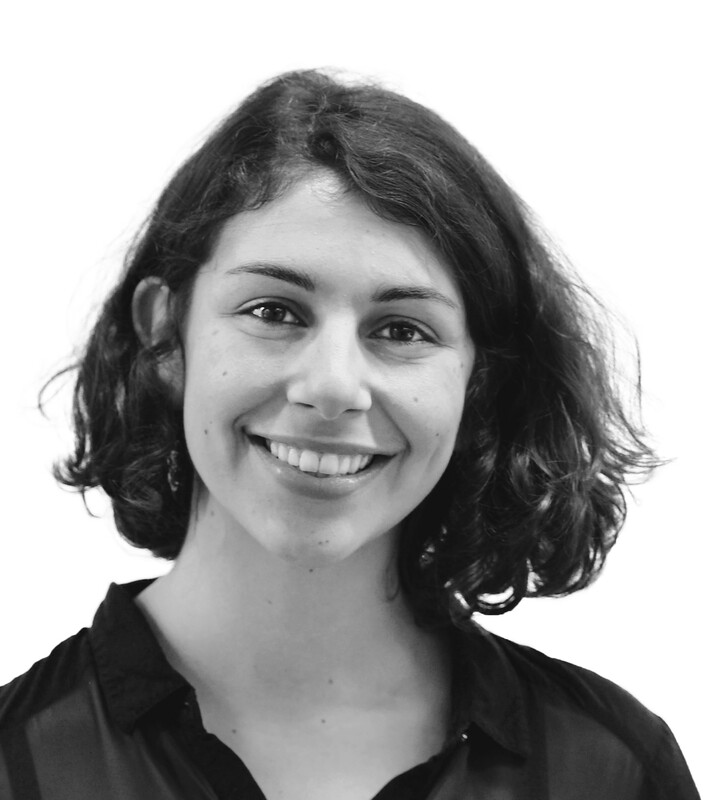 You’re catching your final chance of some peace in the sunshine, and the out-of-office email – containing a more politely worded version of “Sorry, I’m away having a better time than you” – is on. But have you really switched off? 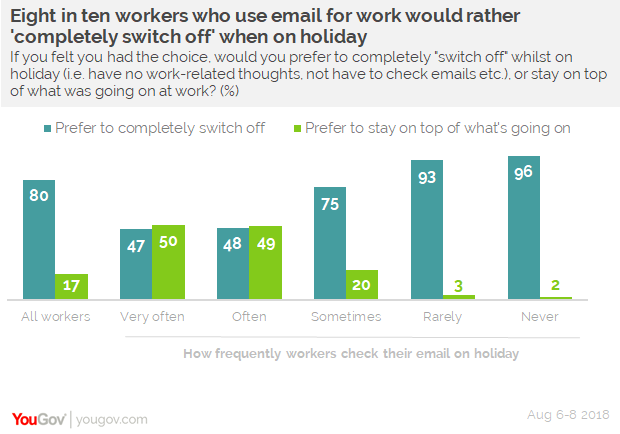 New YouGov research shows that the majority (60%) of those who use email for work check their inboxes while on holiday. One in four (25%) check ‘very often’, one in five (19%) check ‘sometimes’, and one in six (16%) check ‘rarely’. Four in ten (40%) say they never look at their emails. This is despite the fact that eight in ten workers (80%) would prefer to ‘completely switch off’ when they’re on holiday, rather than stay on top of what’s going on in the office. The exception are those who check their emails ‘very often’. Half of this group (47%) say they’d rather stay on top of what’s going on at work, with the other half (50%) happy to stay out of work issues while on vacation. By contrast, while three quarters (75%) of who ‘sometimes’ check their inbox while on holiday would rather completely switch off, one in five (20%) say they want to stay on top of what is going on. You might assume that bosses piling on the pressure is the main reason that so many workers want to stay in the loop. However, this doesn’t seem to be the case. Among workers with a manager, just one in twenty (5%) think their boss would ‘definitely’ expect them to check their emails, while a further one in ten (10%) saying they ‘probably’ would. By comparison, over eight in ten (82%) say their managers either probably or definitely would not expect them to be in touch. This suggests that the pressure to check in – even among those who say they’d rather be completely switched off – could be self-inflicted.